It's been FREEZING cold here this week, and there are no signs of the weather warming up. 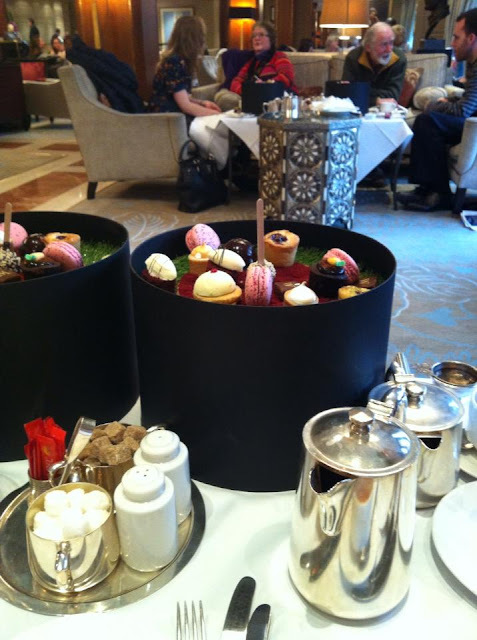 As a treat, the gals and I decided to hole up in the very swanky Westbury Hotel this weekend to attend afternoon tea. We dined on lovely little sandwiches, gorgeous sweets including macaroons, lemon meringues, brownies and red velvet cupcakes and, of course, scones. Warm tea, a cheeky glass of champagne and live piano music in the lovely luxurious tea room were the perfect topping for our afternoon. While this was on my to- do list and a lovely luxury, it's definitely a one time/very special occasion event. It was pricey for the food and desserts that came, but made us feel like we were in Downton Abbey. After that lovely treat, Hubby and I headed to Howth on Sunday to cozy up in a pub with some delicious seafood. I couldn't recommend King Sitric highly enough! They are a hotel and restaurant, and I LOVED the oysters there. We've been twice now. 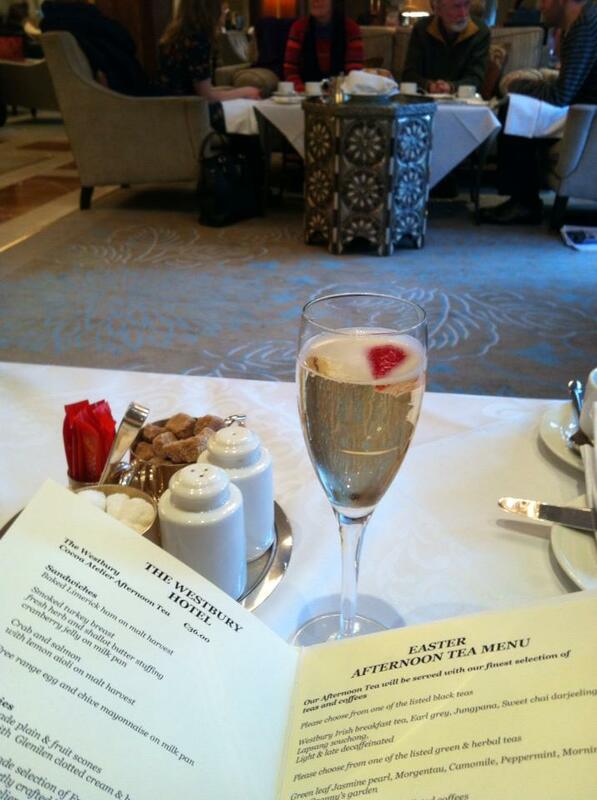 The first time we went to the fancy restaurant which was fine. This weekend, we went downstairs and I LOVED it. Definitely try all the oyster options they have. SO GOOD! 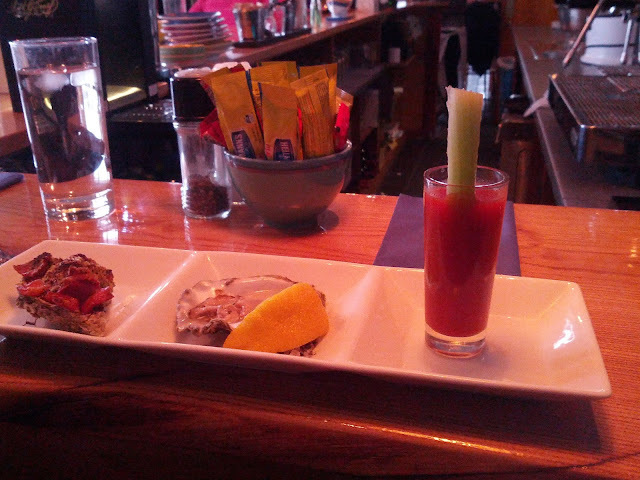 Oysters three ways - Rockerfella, Raw and Bloody Mary- YUM!